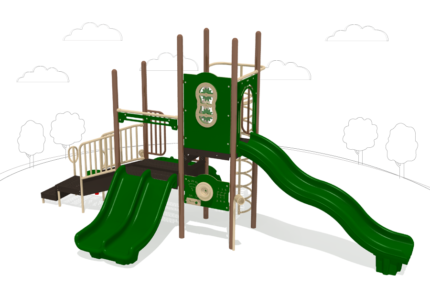 This line of play equipment was developed to appeal to a wide age range by offering a mix of age-appropriate play components that promote interactive fun in a safe environment. To prevent injury of young adventurers, 2 to 12-year-old commercial playgrounds will not include; overhead climbing obstacles, moving pieces, or spiral slides more than one 360° turn. 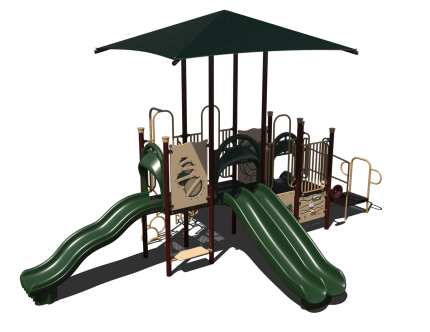 Our commercial playground equipment built specifically for kids 2 to 12 years old is designed to encourage child development while still promoting best practices in outdoor play and learning. Please verify required deck height though state and local licensing organizations. We are happy to suggest alternative options if decks need to be lower than 60” to meet requirements. Look for play components that will entertain both preschool and school-aged children. 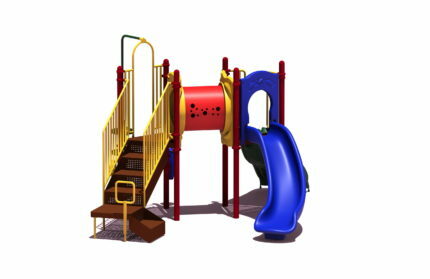 Popular component choices are slides, music panels and vertical climbers. 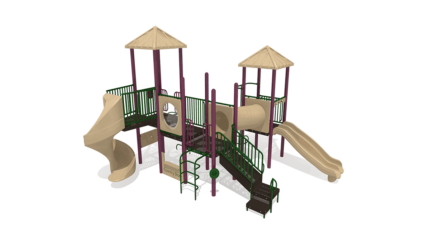 When considering playground equipment for children 2 to 12 years old maintain great site lines throughout the entire play area and easy access points near the more challenging obstacles. Young children may still attempt difficult equipment, so adult supervision is a must. Child development experts and parents agree play is an essential part of childhood. Outdoor play areas can help children develop physically, emotionally, socially and intellectually. However, children of different ages have dramatically different needs for developmentally appropriate play experiences. Because of this commercial play systems for 2 to 12-year-olds must follow unique guidelines. 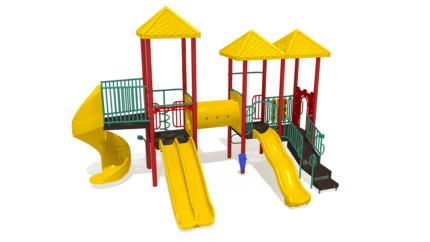 Guidelines have been created by organizations such as the Consumer Product Safety Commission (CPSC) and the National Program for Playground Safety (NPPS) to help make America’s play areas developmentally appropriate, more enjoyable and safer for all children. Look for great sight lines throughout the entire structure and access points near the more challenging obstacles. Young children may still attempt difficult equipment so adult supervision is a must. 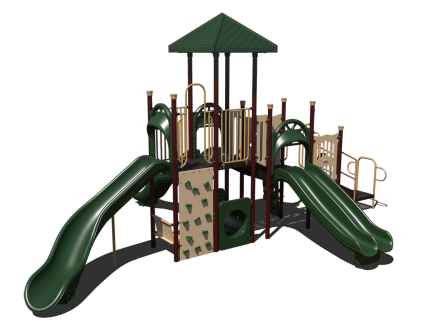 Look for equipment that will entertain both preschool and school aged children. 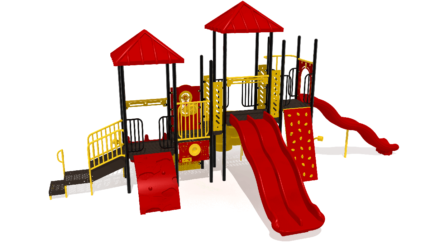 Play equipment that is engaging to both age groups like slides, music panels and merry-go-rounds are popular choices.. In addition, each system meets or exceeds all CPSC, ASTM and ADA guidelines. 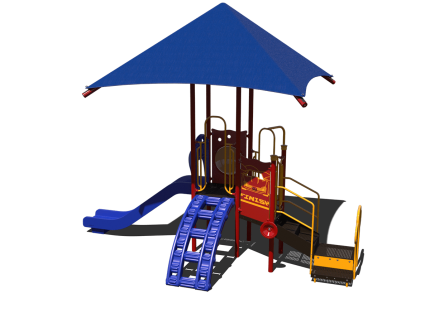 At Adventure Playground Systems we believe in enhancing creativity through customization so that each set can be designed in a large variety of color options to facilitate the creation of your perfect playground! 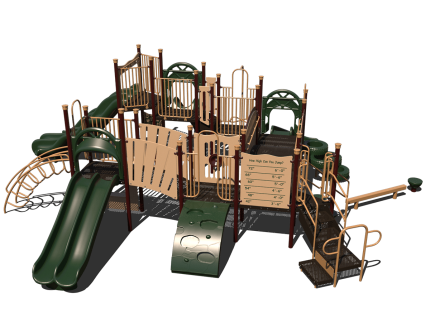 Purchasing a playground suitable for a wide range of ages can be a challenge. 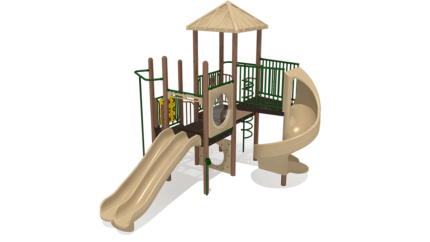 Instead, leave the planning and design of your outdoor recreational space to the Play Experts at Adventure Playground Systems. For more than 20 years, we’ve helped organizations, businesses and municipalities across the country to create innovative play spaces that fit a wide range of age groups, budgets and inclusivity needs. We’d be happy to guide you through planning, design and installation with expert guidance and advice. 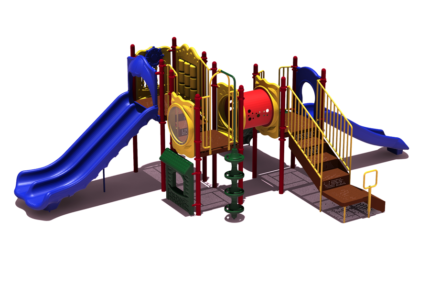 Contact us online or at 1.888.935.2112 today to start designing your 2- to 12-year-old commercial playground equipment. 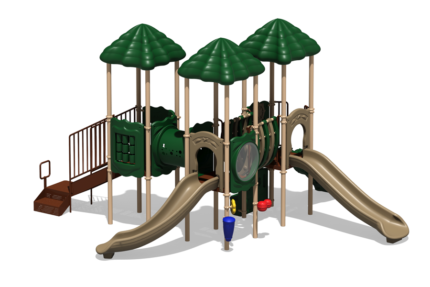 We can’t wait to bring to life the playground area of your dreams.